Just as the dust seemed to be settling following Google’s original Penguin update, which rolled out about a year ago, the search engine giant has unleashed a major sequel. Penguin 2.0, which is also being called Penguin 4, debuted on May 22. Due to the fact that it’s still in its infancy, its far-reaching implications remain unclear. Still, a few things are apparent. This update seeks to drive home the fact that Google is out for sites that use black-hat SEO techniques. Like its predecessor, Penguin 2.0 is especially touchy about backlinks. Most importantly of all, it appears to have had a huge impact on local search results already. As with all other major algorithm updates, search engine optimization techniques will have to evolve to accommodate Penguin 4. This time around, however, it appears that local SEO strategies will need major overhauls to continue to be effective. In the past, Google had a tendency to segregate local search results in the listings. They often appeared as Google Places results, and results weren’t often localized unless users specifically searched for certain locations. With Penguin 2.0, that seems to have changed. Local results are more integrated now, and Google seems to be making a concerted effort to provide users with local results whenever possible. On the one hand, this is great news for small business owners. 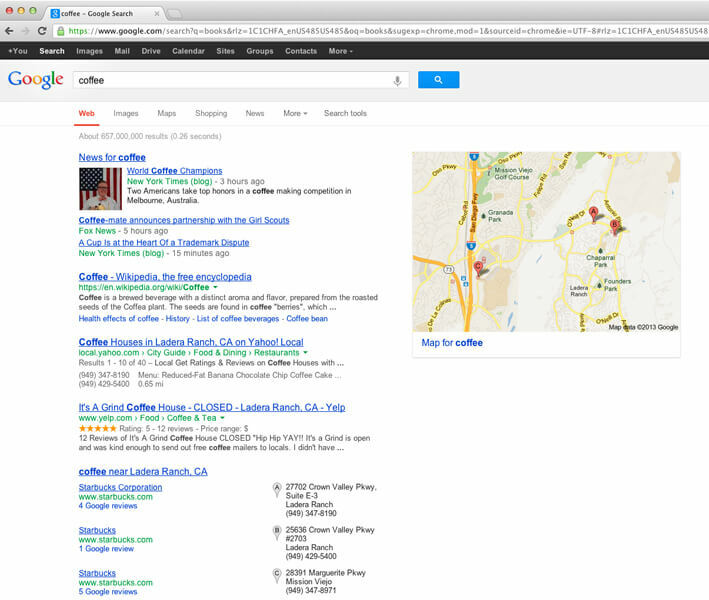 If a person searches for coffee, for instance, local coffee joints are likely to appear in the organic search results. Major book retailers are more likely to be pushed farther down the list. On the other hand, this update could negatively impact local business owners who aren’t on top of their SEO. If you’ve had an online presence for at least a year, you have already weathered at least one of these SEO storms. The original Penguin update targeted webspam, and it was especially nit-picky about backlinks, or incoming links. Long ago, website owners discovered that incoming links dramatically improved a site’s ranking on Google. For a while, it didn’t seem to matter where they came from; quantity trumped quality. Penguin 1.0 obliterated that loophole and penalized sites that were clearly engaging in link spamming. Penguin 2.0 isn’t completely understood yet, but it appears to be intensifying the original update’s goal of doing away with sites that have low-quality incoming links. If you want to take advantage of the fact that Google is placing a high priority on returning local results to users, it’s imperative to get a grip on your backlink situation. Are your backlinks helping or hurting your site? If you’ve seen your ranking plummet since May 22, they are probably to blame. Even if the original Penguin update didn’t seem to affect your ranking too terribly, the new one may finally have detected unnatural links pointing to your site. • They should come from reputable, trusted sites that are relevant to the content you are linking back to. Remember, relevancy is more important and search engines recognize that most sites are going to have links from new or less authoritative sites (often because they are much more natural and easier to obtain). • They should come from sites that relate to yours in some way. • Link velocity, which refers to the speed at which new backlinks are created, is important. If too many backlinks pop up too quickly, Google is likely to assume that you are engaging in spam and will penalize you accordingly. Slow and steady always wins the SEO race. • Use moderation for EMAT (Exact Match Anchor Text) link building campaigns. If you are trying to go after a short tail keyphrases, consider using the brand name to avoid potential penalties for too many EMAT links. After eliminating problematic backlinks, shift your focus to creating beneficial ones. Get active on social media, engage in guest blogging, participate in forums and find other ways to create relevant, natural backlinks. They will help you survive Penguin 2.0 and should shield your site from harm during future search engine algorithmic updates too. SEO (Search Engine Optimization), or the process of helping your website show up higher in Google rankings is very complicated. Our SEO blog is going to be focussed on sharing our knowledge on the latest Google algorithm updates and overall SEO best practices for all types businesses.